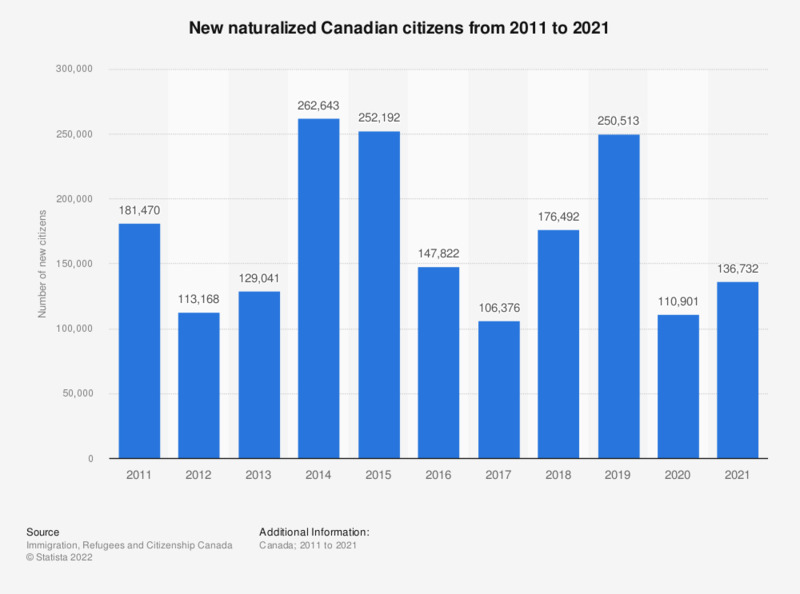 This statistic shows the number of new naturalized citizens in Canada from 2011 to 2017. In 2017, 106,285 people became citizens of Canada. During 2017, 106,285 people gained Canadian citizenship. How do you feel about the right for EU citizens to live in Belgium? Would you say that immigration has generally had a positive or negative impact on your country?